Consuming less is difficult. We live in a society that is bombarded by advertising and driven by fads and trends, which all encourage us to buy more. 1) Bring a list of what you need to the store and stick to the list. This will prevent impulse and unnecessary purchases. 2) Use your library. Not only is it free, but borrowing is also environmentally-friendly. One book being used by 20 people is much more “green” than each of those 20 people purchasing the same book (or magazine, DVD, CD, etc. ), using more energy and other resources to make each copy. 3) Sell things you don’t need any more or haven’t used recently. Have your own rummage sale or sell items online through Amazon, Ebay, or Craigslist. Not only will you make money by selling these items, but someone else can make use of them, too. 4) Use items you already own for multiple purposes whenever possible. For example, my husband and I connect our TV screen to our desktop so that our TV screen also functions as our computer monitor and our computer also functions as our DVD player. 5) Buy quality items. Sometimes, paying more up front for an item will save you money in the long run. 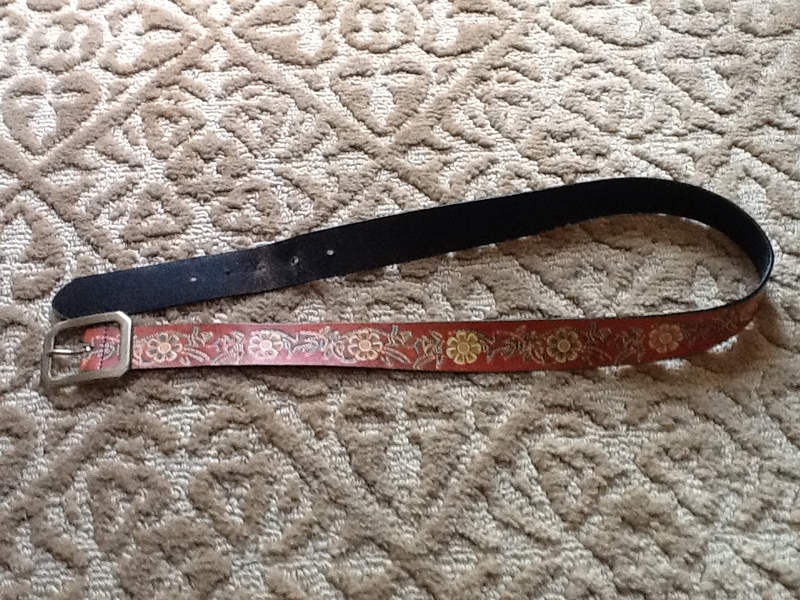 For example, I bought this belt at Target three years ago for $23. To me, that seems like a lot for a belt, but it’s made of genuine leather and has lasted me twice as long already as a synthetic belt which costs $15. Consuming less isn’t easy. But hopefully these tips will get you started on an anti-consumerist lifestyle that will save you money and help you live greener. How do you fight the tide of consumerism? Feel free to share your thoughts here!